If you want to purchase cartouches while visiting Cairo, this private tour ensures you visit the best manufacturers. Get picked up from your hotel and go to the cartouches workshop where you can watch craftsmen at work. 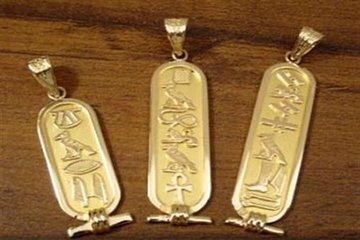 There you can also buy a silver cartouche engraved with hieroglyphics.